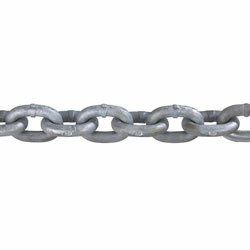 Chain Size: 3/8", Working Load Limit: 5,400 lbs, Sold by: Pail 64 ft. Inside Link Dim. 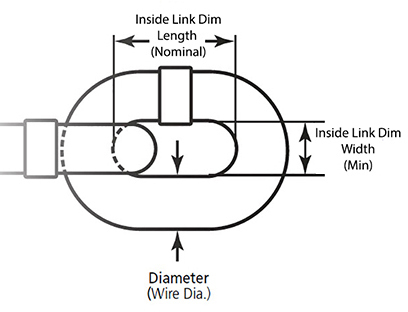 Length (Nominal): 1.22"
Inside Link Dim. Width (Min): 0.60"
Note: *Check fit for windlass manufacturer's specifications before purchase. Not for overhead lifting. Crosby G-209 Series Anchor Shackle - 3/8"
Shackle Size: 3/8", Pin Diameter: 0.44", Opening: .66"
Applications: Connecting 3/8" Chain Links, Length: 3-1/2"